Saturday night the Mid-Hudson Civic Center played host to another AKBF mixed card of MMA and sundry other combat sports with the main event consisting of local MMA standout Gregy Styles taking on Diogo Machado for the inaugural AKBF 185 lb. title belt. Styles, who’s steam rolled all previous competition, was finally tested a bit against Machado, who got back mount on him in the first round and sank in a deep heel hook in the second. But Styles calmly defended each time, eventually finding himself on top and unleashing some of his trademark ground and pound. Despite looking exhausted at the end of the second round, he came out and forced Machado up against the cage to start the third before firing off a dozen brutal punches that had Machado slumping to the canvas and the referee stepping in to stop the contest. Now training out of Animals MMA, it seems Styles is ready for the pro ranks as well. Performance of the night, though, had to go to Lindsey Vanzandt for her third round stoppage of Jenna Fryer in a women’s 110 lb. muay Thai match-up. Vanzandt threw an impressive array of punches, kicks, sweeps and even pulled out a running superman punch off the cage (both MMA and muay Thai bouts held inside the cage), finally stopping Fryer with a front kick to the face. The 20-year-old Vanzandt is 1-0 in MMA and 2-0 in muay Thai but says her goal is to eventually turn professional as an MMA fighter. Great article recounting a night of amazing fights. 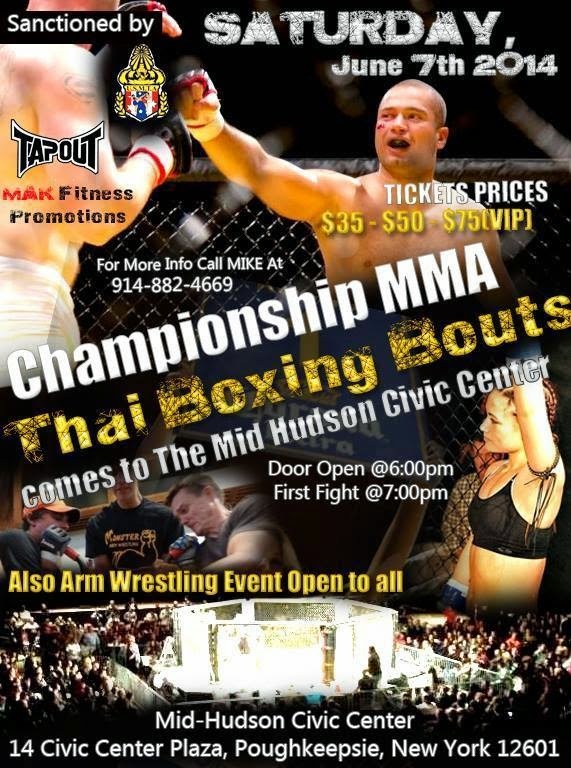 Here is the link to the official highlight reel for the Mid-Hudson MMA event on June 7. Video provided by Ryan Paulsen Photography.